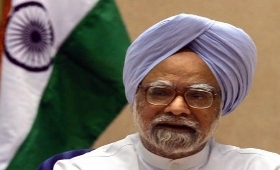 Former Prime Minister Manmohan Singh said Indian small and medium enterprises are yet to recover from the shock of demonetisation. On the second anniversary of the Modi's 2016 decision to ban Rs 1,000 and Rs 500 notes, Sinagh said "Small and medium businesses that are the cornerstone of India's economy are yet to recover from the demonetisation shock." A host of Congress leaders came out in stringent criticism of demonetisation. "It is often said that time is a great healer. But unfortunately, in the case of demonetisation, the scars and wounds of demonetisation are only getting more visible with time," he said in a statement.